The next book in my challenge is "The Martian ". I have to admit I watched the movie first before reading the book. Matt Damon did a fantastic job to be able to carry an entire movie basically buy himself growing potatoes on Mars. Similarly, the book is just as entertaining reading about how Mark Watney survives on Mars after being stranded. After a dust storm hits while Mark and his team are exploring Mars, his team evacuates thinking Mark was killed in the storm. Mark, however, survived and experiences a series of adventures and misadventures living in his new home, The Hab, on Mars. Mark is a botanist by trade and through sheer ingenuity manages to grow potatoes on Mars. He has no communication with Earth until he takes a road trip to gather the working radio from a rover many miles away. Once in contact with Earth, NASA works to devise a plan to save Mark. Working on tight time timelines and several setbacks, NASA and Mark figure out a strategy to get him home. The voice of Mark throughout the story is humorous, sarcastic, and real. It's a great story of the perseverance and capability of man through pure determination. 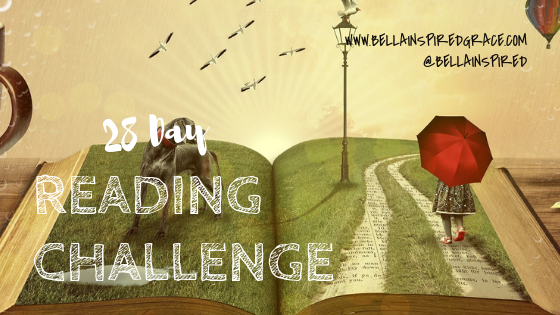 Until tomorrow and the next book in the reading challenge!